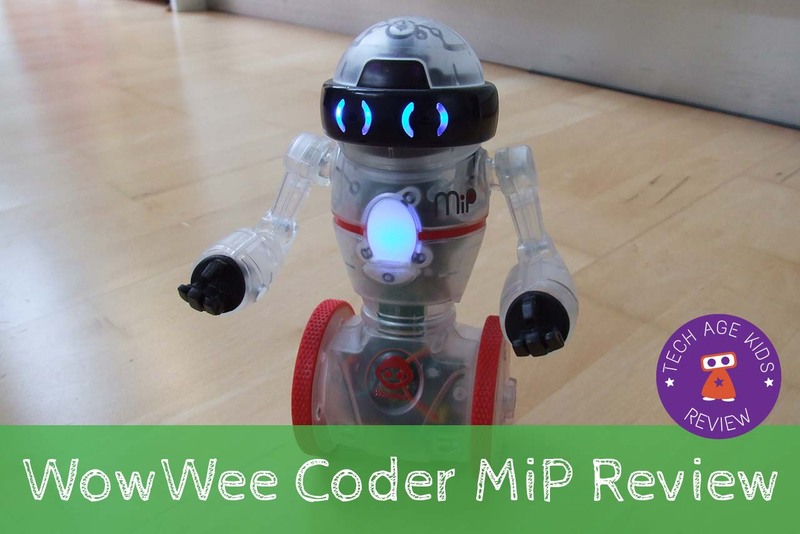 The WowWee Coder MiP is a transparent, programmable version of the popular gyroscopically balancing robot. 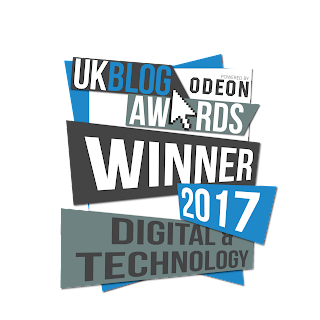 We're loving this trend to help kids understand how tech works rather than having everything hidden away. The Coder MiP comes in an enormous box for such a small robot! It does come with lots of accessories but we think they could have been fitted into a smaller package. It's what the robot can do that's important, not how big it appears! The Coder MiP is traditionally packaged with lots of plastic and sticky tape. The box isn't much use for storing the robot and its parts as it's so big. The Coder MiP has a removable rechargeable battery compartment and the battery charges via the included micro USB cable. You have to remove the battery with a screwdriver to charge it which is a pain. There's a on-off slide switch on the back of the robot. Note that the ON and OFF positions are marked, they're just really tiny and transparent. Tip: You need to make sure the battery is pushed in and screwed in properly. I did a poor job of this at first and it worked lose. The Coder MiP is cm tall and looks awesome. The body is transparent so you can see the electronics inside which is a nice touch. 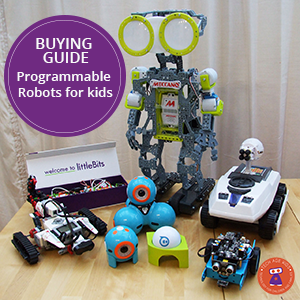 Update: We're seeing significant discounts on this robot which makes it great value. The big deal about this robot is that it balances and auto-corrects even when carrying objects, that's a pretty neat trick. My kids insisted in adding the off-road tires immediately although they didn't put them on correctly. The MiP can be used out of the box without the app. 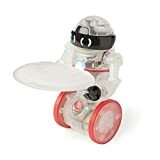 It has a number of modes that are accessed by turning its wheel. These include a gesture control mode that kind of works. We could get it to go backwards, left and right fairly reliably but forwards proved harder. This probably depends on lighting conditions and proper training of humans to make the right gestures. The MiP feels well made and packed with interesting technology. The Coder MiP also works with the regular non-programmable MiP app. 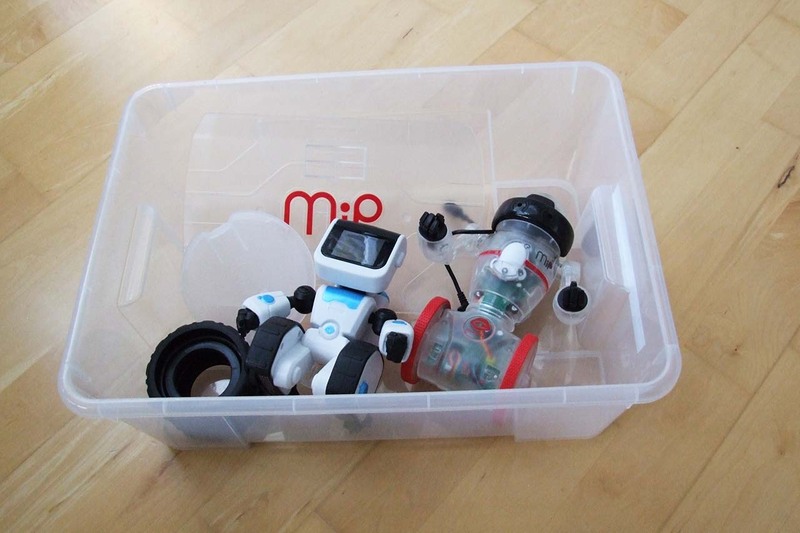 If you haven't played with a MiP before then we'd recommend starting with this app to get a feel for what the robot can do before you start programming it. The app was a is success in our house. Probably the first thing you'll try is just using the onscreen controller. My kids completely ignored the onscreen instructions and missed the the left part of the screen controls forward and backwards movement and the right controls left and right movement. Once they'd got that they were fine. Well they need some practice, but the controls work! The MiP can't right itself once it's fallen over so kids will have to help it out. At least this keeps them active. They loved the 'coding lite' cans app where you can feed the MiP a sequence of cans. My younger son had a great time dancing along with Coder MiP to Smoke on the Water by Deep Purple. The Coder MiP App is what it's all about: drag and drop coding with access to all the cool features of the MiP. The Coder MiP app is available for iOS and Android. There's not a Kindle Fire version at time of writing. You have control over movement (via motion commands or drawing a path for MiP to follow), sound (from a predefined list) and the LED light on MiPs chest which can flash at different speeds and change to one of eight colours. You can trigger behaviour at the start of a program, when a number of claps is detected, when weight is placed on the tray, when a hand gesture is detected or when the MiP changes it's position in a specific way. The coding will feel familiar to kids who have used other drag and drop tools except that you have to tap and hold a block to be able to move it and use it. Kids who are just to quickly dragging blocks into place will find this frustrating. There are some small details that could be improved like the need to rename an example before you can try it out and the requirement to specify the MiP for every command even if you only have one MiP connected. There are only two examples at the moment, but it's pretty easy to figure out how things work. The set of concepts you can use is fairly simple, but you can do a lot by combining them. Sometimes it can be hard to get the MiP to detect the correct number of claps or a hand gesture which can make it hard for kids to work out if their code is correct. This is hard robotics stuff though. It would be great if you could program some onscreen buttons so control MiP so that you could move it around and get it to do tricks from a device. We haven't found any tutorial material for the Coder MiP yet, but this is obviously something that could be added in future. I think having tutorials and challenges would increase the value of the coding aspect of the Coder MiP. Program a regular route in your house such as from the kitchen to the living room so MiP can deliver a snack. Set up an obstacle course including the teeter ramp and program MiP to complete it. Get MiP to complain when picked up using lights and sound. Get MiP to deliver objects by triggered movement when an object is detected on its tray. 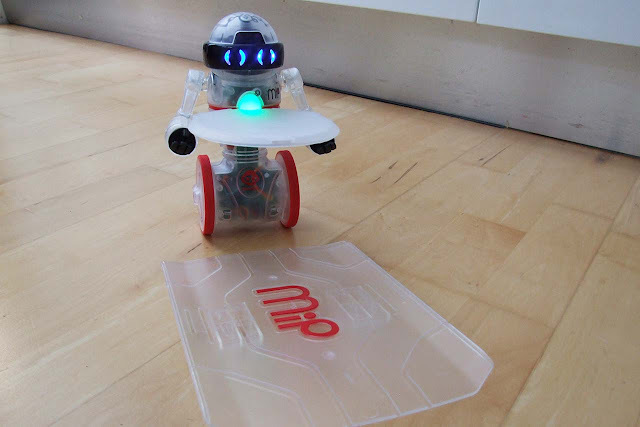 The Coder MiP is a small robot but it does move quickly so it will make good use of a large area. However if you only have a couple of square metres then you can still use it. The 'draw a path' feature only uses a small amount of space and the MiP is great at spinning really fast on the spot. Want to Code a Regular MiP? 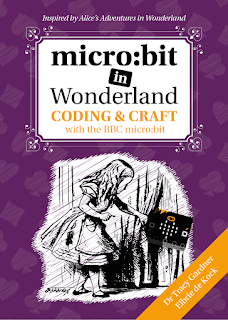 WowWee offer MiP APIs for a variety of programming languages and platforms. These are available as official open source WowWee projects on github. Setting up an environment to use these APIs requires more technical expertise than using the Coder MiP app. Did you know that you can hack a regular MiP so that you can code it with Arduino? SparkFun make a MiP ProMini-Pack which adds Arduino support to a MiP. This requires modification of the MiP and will definitely void the warranty. The Coder MiP is a much easier approach to coding the MiP. The need to unscrew the battery compartment to recharge the Coder MiP is definitely a pain and requires adult involvement. 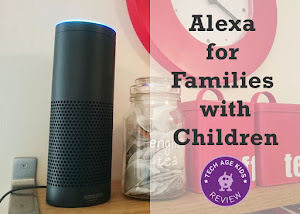 But it's definitely good to have a rechargeable battery rather than worrying about the cost using lots of regular batteries if the toy is a bit hit with your child. Overall this is a cool robot. It performs well as an entertaining tech toy. This is no suprise, the original MiP is still very popular and Coder MiP has the same features. My boys aged 8 and 9 really got its sense of humour and fun. The controls are pretty smooth and it has some fun games. The ability to see the electronics inside is a great feature and helps kids realize there's no magic. The coding works pretty well. We particularly like the 'draw a path' command. The coding part is pretty simple for them and younger kids who have some experience of coding would be fine with it. However the MiP offers support for interesting event triggers that aren't often found in programmable robots: sequences of claps, gestures and movement detection. These triggers aren't perfect, but they do give kids some insight into different ways to interact with robots. The value of the coding aspect of the Coder MiP will vary from child to child. I can image some kids just programming sequences of actions a few times and then going back to the games mode whereas other kids will spend hours solving interesting challenges. 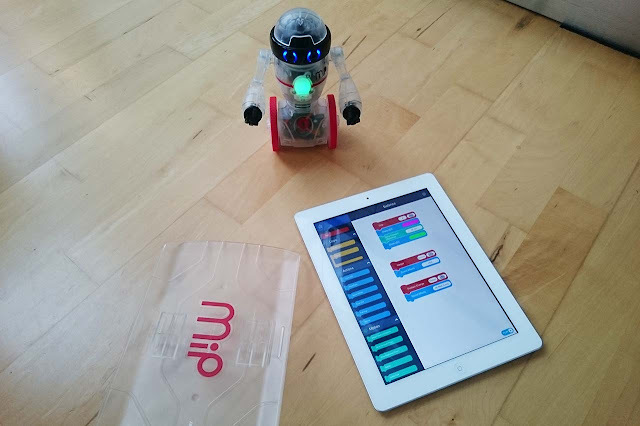 We think the app could be improved in future (the Coder MiP is very new) and more examples and some tutorials and challenges would improve the educational value of the device and encourage more kids to stick at coding. The Coder MiP is bundled with off-road tires and a large teeter ramp which are not included with the regular version of the basic MiP. It's important to take this into account when comparing the price with the original MiP. Hi! What are the main differences and improvements compared to the previous black and white MIPs? (other than the coding aspect) I need to make a choice for my 5yr old kid. Thanks!